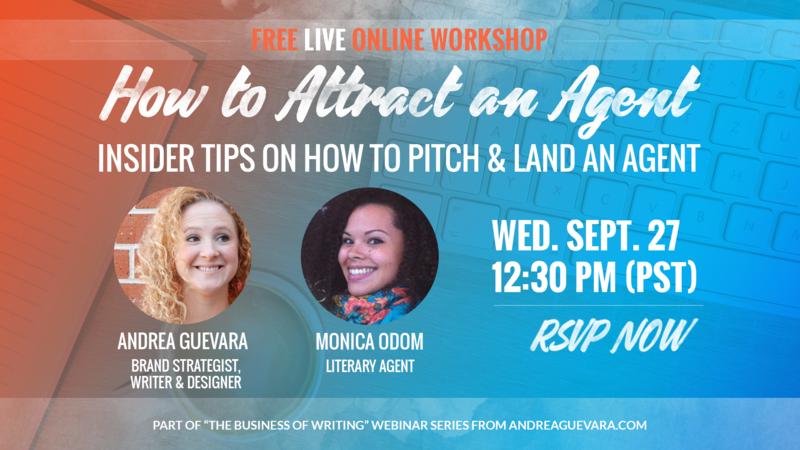 Like it or not, there’s a business side to being a writer. 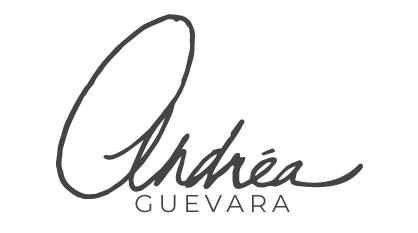 Hi, I’m Andrea Guevara, writer, branding expert, and serial entrepreneur. 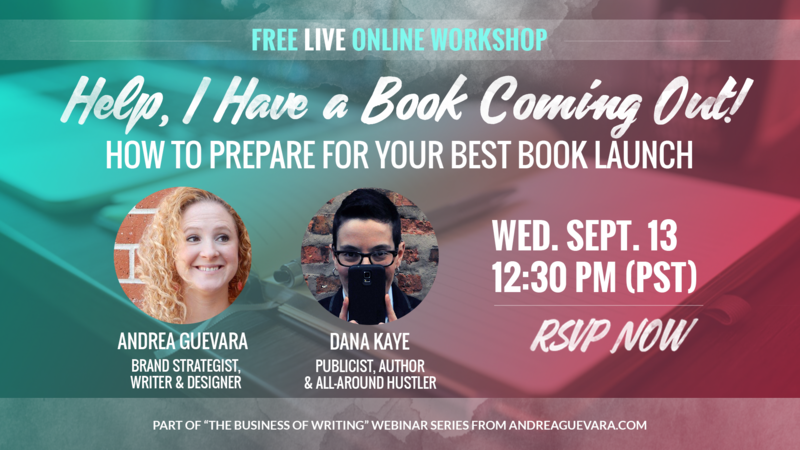 I’ve assembled some of the best real world experts to help you learn how to design your writing career, increase your productivity, finish your book, get an agent, prepare for your book launch, hone your personal brand, and more! 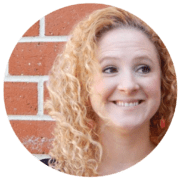 The series is over, but sign up to receive email updates on my next series. 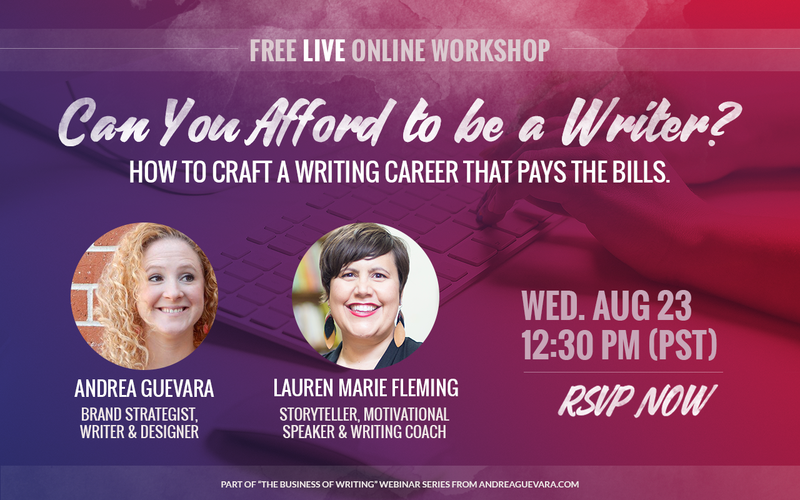 Online Workshop #1: Can You Afford to Be a Writer? 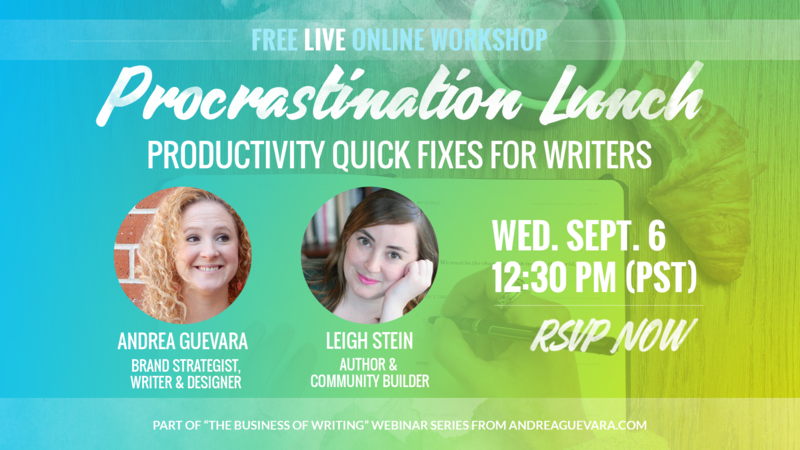 Online Workshop #3: Help, I Have a Book Coming Out! What Should I Do? 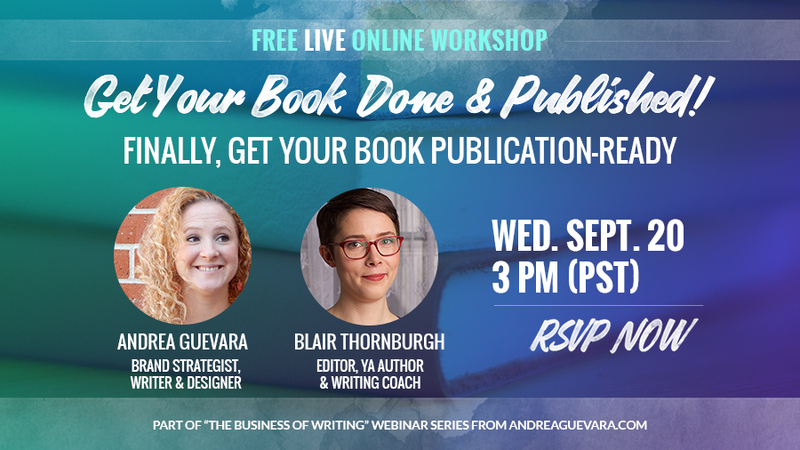 Online Workshop #4: Get Your Book Done & Published!